Baby/ toddler toy bundle. 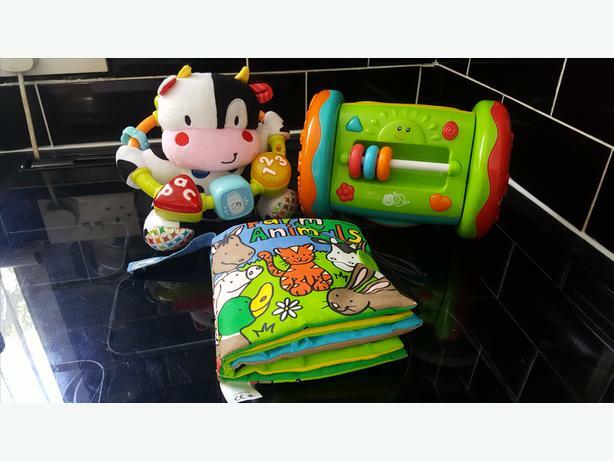 Rolling musical toy, musical cow, soft book (animal theme). Good condition from a smoke free home.